Bigfoot Properties is a premier property investment company with a broad international portfolio across Asia and North America. These investments, which cover a variety of sectors in the property market, have included the development, acquisition and repositioning of prime residential, commercial and hotel properties. Bigfoot Properties is part of the Bigfoot Group of companies. The group also has established high reputation in its internationally renowned TV and film production company Bigfoot Entertainment. Bigfoot Centre in Causeway Bay, Hong Kong will serve as the Asia Pacific headquarters of Bigfoot Entertainment, further adding to the building's one-of-a-kind creative identity and spirit. Bigfoot Properties targets and focuses on geographic areas with strong growth potential, identifying properties with strong conversion potential and upgrading them to higher use while quickly and efficiently bringing them to market. With innovative ideas that anticipate and respond to tenant needs, Bigfoot Properties takes a unique approach to development focusing on blending eco-friendly and innovative architecture along with strategic marketing to promote the best option for every property they have invested in. Bigfoot Properties creates real estate developments that attract investors, tenants, residents and partners who appreciate their extraordinary work, as well as its long term ownership commitment. Since then, significant commercial developments include the development of the Bigfoot Centre Building, a 26 storey vertical entertainment complex located in the heart of Causeway Bay, Hong Kong. In the Philippines, Bigfoot Properties has developed Bigfoot Center, the landmark office building that is home to Bigfoot's outsourcing business, a state-of-the-art 4 hectare facility and campus of Bigfoot Studios and the International Academy of Film and Television. Currently Bigfoot Properties has approximately 34 million Sq. Ft. development activities in the pipeline, including investments in a new vision of modern green living in the pristine island of Palawan with the planned development of several residential buildings, a multi-use urban complex, a resort, and film studios. As with so many of the other successful property development companies, credit for the vision and driving force goes to Michael Gleissner. Michael Gleissner has risen to become one of the preeminent property developers in the international real estate industry by discovering the hidden value of real estate properties through vision, research, creative thinking and management. He is personally involved in all aspects of Bigfoot Properties projects, from the acquisition and financing of a new property to the design, layout and finishes. As a result, Bigfoot Properties has gained a reputation for its acute ability to acquire and turn around projects that consistently out perform the marketplace. Prior to his focus on property development Michael Gleissner became an online pioneer at 20 years old with his launch of the first e-commerce company Telebuch (Tele Book) in Regensburg. In 1996, Gleissner relocated to the United States, and served as managing director of the ABC Book Service office in Florida. In 1998, Telebuch and its subsidiary ABC Book Service GmbH, were acquired by Amazon.com, after which Gleissner subsequently served two years as vice president of their US Operations. Gleissner also started "WWW-Service GmbH" as one of the first webhosting companies in Germany. It was later acquired by Verio (later NTT). He was a large shareholder in public companies like J2 Communications and United Internet AG, as well as investing in a series of Internet startups, such as Jfax GmbH, Deskclick/Eatfleet, and MagicDay. In 2001, Gleissner moved to Asia to establish a presence for several of his companies, among them Bigfoot Communications and Cleverlearn Inc. Both had formerly been based in New York City. In 2002 Gleissner founded Bigfoot Entertainment to finance and develop feature films, documentaries, and reality TV shows for the South Pacific and Asian markets. 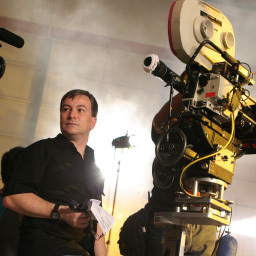 He develops and oversees entertainment projects under the umbrella of the Bigfoot Group of companies, including Bigfoot Entertainment, Bigfoot Studios (with production facilities in Los Angeles and Cebu, Philippines), and the International Academy of Film and Television he founded on Mactan Island, Cebu, an international film school providing aspiring filmmakers with a competitive education under the mentorship of industry professionals, and the first of its kind in Southeast Asia. Through his Hong Kong based Bigfoot Ventures Ltd., he is also the largest shareholder in the fourth largest U.S. film exhibitor, Carmike Cinemas. Mr. Gleissner has been extremely successful in many business ventures, many of them are consolidated under the Bigfoot brand. He built the former dot-com business into a corporate group that includes Bigfoot Entertainment Inc. (a film production company that produced more than 8 international feature films, among them pictures with Hollywood names like Lucy Liu), Bigfoot Studios (a state-of-the art feature film production facility in Cebu, Philippines), and Bigfoot Communications Ltd. (a specialty telco company). His real estate holdings span across the globe under the Bigfoot Properties Group that focuses on residential and commercial land development and property management of commercial and serviced apartments. Michael Gleissner currently has a total of US$ 300 million in assets.